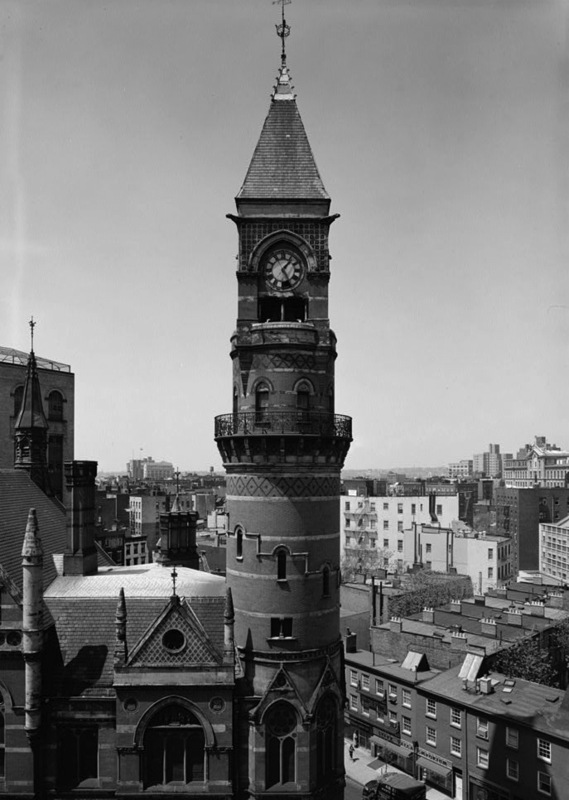 Formed in 1957, members of this organization advocated for restarting the clock of the Jefferson Market Courthouse as a method of bringing attention to the preservation of the building. People: Margot Gayle, Robert F. Wagner, Jr. The Committee of Neighbors to Get the Clock on Jefferson Market Courthouse Started was founded to do exactly what its name indicates. The Committee was also founded with the intention of sparking interest in preserving the Jefferson Market Courthouse structure as a whole. Charles B. Hosmer, Interview with Margot Gayle, under the Auspices of the Eastern National Park and Monument Association, 23 June 1982. Anthony C. Wood, Preserving New York: Winning the Right to Protect a City’s Landmarks (New York: Routledge, 2008), page 261. Laura Hansen, Interview with Margot Gayle, 23 July 1996, Greenwich Village Society Preservation Archive and Oral History Project at the Greenwich Village Society for Historic Preservation. ”‘Villagers’ Rally for a Live Clock,” The New York Times, 6 October 1963. ”‘Villagers’ Fight to Save Building,” The New York Times, 19 February 1961.